BrightPay Connect allows bureau users to securely send payroll entry requests and payroll approval requests to their clients, changing the way payroll bureaus interact and communicate with clients. The Payroll Entry Request allows clients to securely add their employee’s hours saving bureaus hours of administrative time. Clients can easily enter employee hours on their BrightPay Connect employer dashboard. Additions and deductions that have been set up by the bureau in the payroll software can also be selected by the employer. Only additions and deductions that are already set up in the payroll software can be selected for an employee. 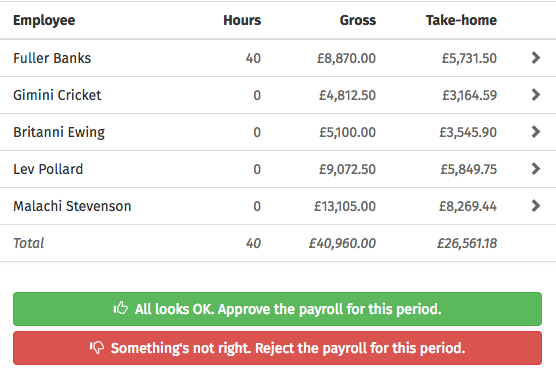 Clients also have the ability to add new starters though the payroll entry feature. The client can enter new employee or starter details on the Payroll Entry Request, including name, address, date of birth, NI number, email address, phone number, Tax Code, NI table letter, start date, starter declaration and if a student loan deduction plan is applicable. Once the Payroll Entry Request has been submitted by the employer and checked by the bureau, the new employee's details will be automatically downloaded and added to BrightPay payroll software on the bureaus desktop. All of the information included in the Payroll Entry Request (payments, additions, deductions and new starters) will seamlessly flow through to the bureau’s portal, ready for payroll processing. The Payroll Approval Request allows bureau users to securely send their clients a payroll summary before the payroll is finalised. 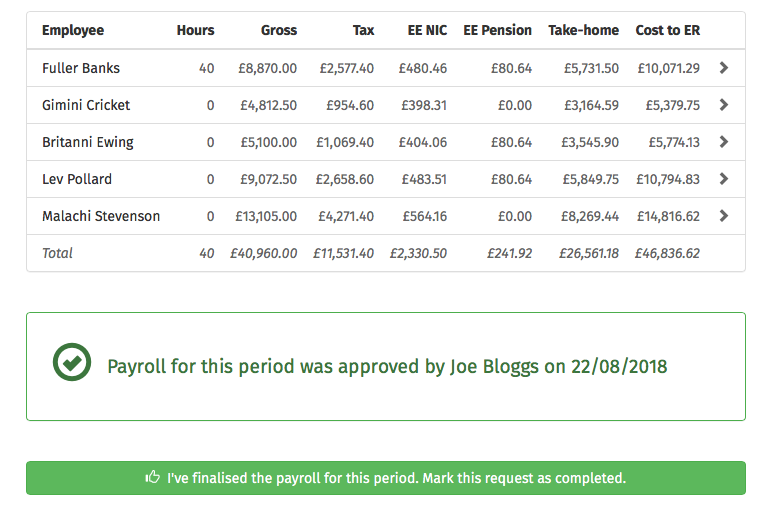 Clients can then review and authorise the payroll details for the pay period through their online employer dashboard. Ultimately, your client will be accountable for ensuring the payroll information is 100% correct before the payroll is finalised. Additionally, there is an audit trail of the requests being approved by the client. 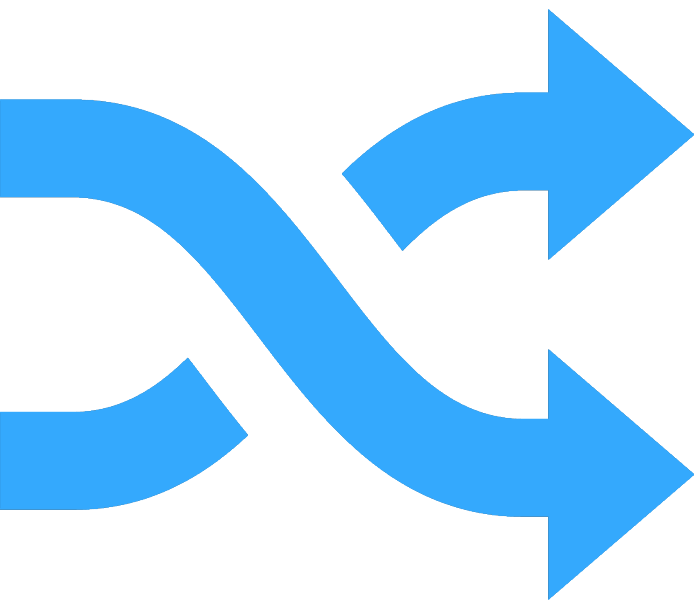 The payroll entry and approval integrate directly with BrightPay Payroll, meaning the transfer of data is automatic and immediate. The process allows payroll clients to view and check the payroll summary before the payroll is actually finalised. As the payroll data checks and approval are conducted by the payroll client themselves, this will result in increased accuracy and a reduced need to make edits after the payroll has been finalised. The client payroll entry and payroll approval features are built to seamlessly work together.  However, both features can also be used as standalone functions, i.e. the bureau may only wish to use the payroll entry feature enabling their clients to upload timesheets and employee hours. These features also offer an additional layer of GDPR protection for your clients’ payroll information. Confidential employee information will be exchanged between you and your client through a secure portal, reducing the need for emails containing sensitive personal information. It eliminates the need for bureaus to manually re-enter the employee data into the payroll software, reducing possible errors of manual data entry. Payroll bureaus will have full control over the data, while their clients will have full ownership of the data verification and approval before finalising. Access to BrightPay Connect is protected by username and password with role and permission based access for each user. Each payroll cycle, the payroll bureau will send a Payroll Entry Request to their client. This can be done from within the BrightPay Connect portal or from the payroll software itself. The client will receive an email notification requesting them to input the employee hours including additions and deductions for that pay period. Payroll clients can input the employee payroll hours and payment details on BrightPay Connect. Clients can manually input the payment details for each employee. The information can contain hours worked with different pay rates such as time and a half, supervisory hours, double time and Sunday time. The client also has the ability to enter an employee’s additions and deductions on the Payroll Entry Request along with employment information for a starter or new employee. When the Payroll Entry Request has been completed by the client, the payroll details will automatically be added to the bureau’s portal ready for processing. Bureaus can review details entered by their client and click a button to synchronise the information to add it to the employer file on the payroll software. Bureaus can then prepare the payroll summary, and send a Payroll Approval Request to the client. Upon sending a Payroll Approval Request, the payroll summary for the selected pay period is securely sent to the client for final approval through the BrightPay Connect employer dashboard. Clients can view the payroll summary and preview employee’s payslips for the period. They can also select individual employees to look at their pay details for that period, including statutory deductions and net pay details. Clients can then approve the Payroll Approval Request giving authorisation for the bureau to finalise the payroll for the pay period. Where the details are incorrect, the employer can reject the Payroll Approval Request and explain what needs to be rectified. The onus for the payroll information to be correct lies with the client. The record of the payroll approval request from the client is recorded should anything be questioned or need to be checked. The payroll bureau will automatically receive a notification that the Payroll Approval Request has been approved and they can then finalise and run the payroll. 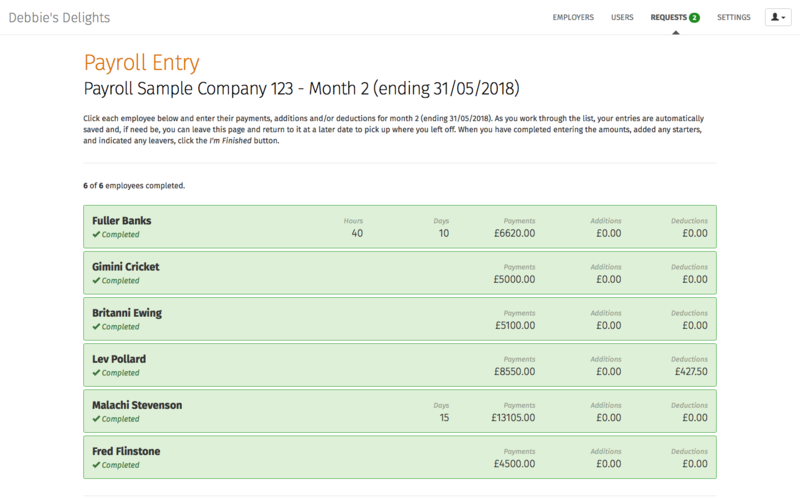 Employee payslips and payroll reports will be automatically available on the BrightPay Connect employer portal. The automation will eliminate the email document exchange between you and your client providing a more secure and accurate recording of the timesheets and hours. 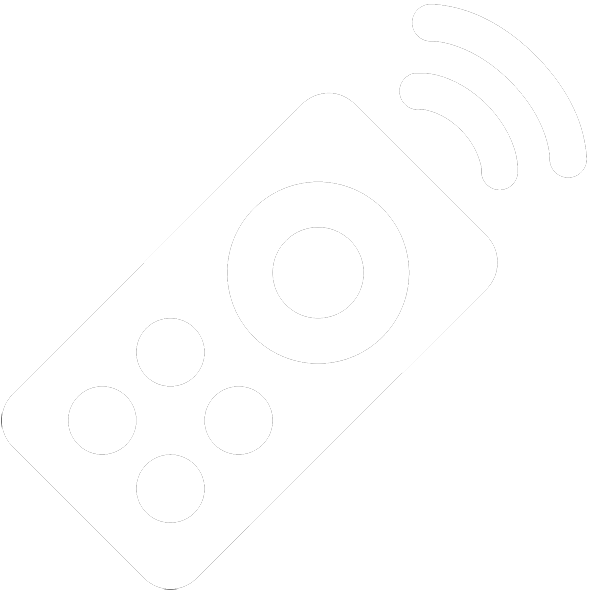 Payroll information input by the client will be accurately recorded and synced back to the client payroll file. Payroll clients can simply input the hours for each employee eliminating re-entering the same data on the bureau side. Employee hours are added quickly and easily by your client saving hours of administrative time each pay period. As the client authorises and confirms the Payroll Approval Request there will be less edits to make to the payroll. Bureaus benefit from this as the actual onus for the information to be correct rests with the client. Your payroll client will have full control over entering the employee hours and verifying the payroll details before the data is processed. Clients can review and resubmit the Payroll Approval Request with comments before the payroll is finalised. Bureaus have full control of the payroll data before it is finalised as you can review or amend all information before synchronising the data back to BrightPay payroll software. This timesheet upload process is ideal for client data verification and increased accuracy. 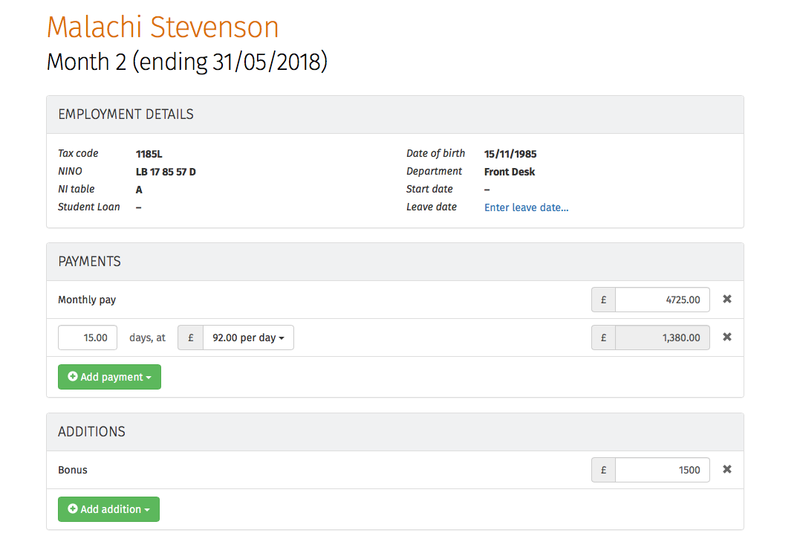 The timesheet portal connects directly to the employer file on the BrightPay payroll software so the transfer of information is automatic and immediate. 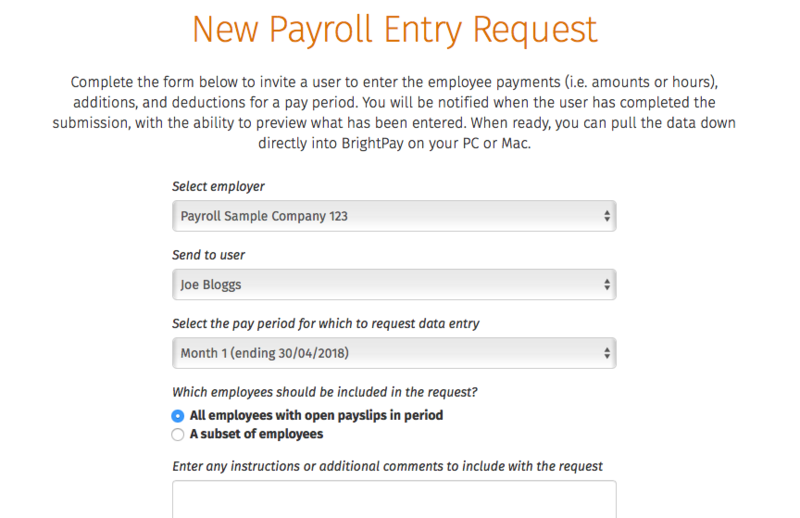 Payroll details from the Payroll Entry Request can be automatically downloaded to the BrightPay employer file on the desktop application. There is an audit trail available for bureau users. The audit trail includes each of the steps taken by your client and includes payroll files approved and submitted by the client. Bureaus can view outstanding requests, files awaiting approval, completed approvals or files ready to be downloaded to BrightPay employer file. 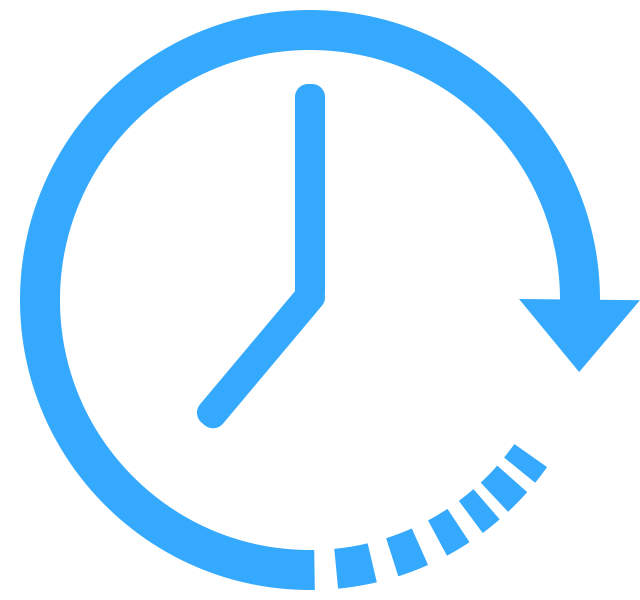 The BrightPay Connect service is a web based application hosted on the Microsoft Azure platform. 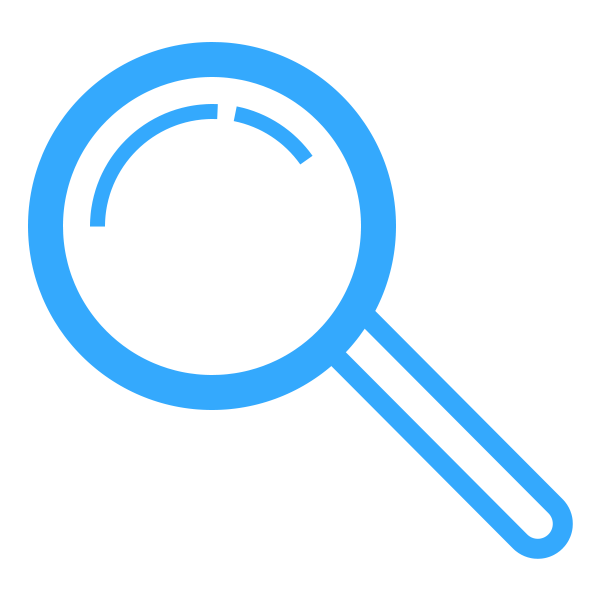 All data transmitted to and from the cloud service is secured using SSL over HTTPS. This includes data sent via web browsers and data sent from payroll applications.